Adie Skirt https://www.review-australia.com/global/adie-skirt/RE19SK033.REBLK001.html A style staple that will never date ? the Adie Skirt is a new classic. In a structured crepe fabrication, the fully lined skirt offers a straight pencil silhouette, sitting at the knee. It has a back split at the hem and features a wide belt with a squared covered loop at the centre. A style staple that will never date ? the Adie Skirt is a new classic. 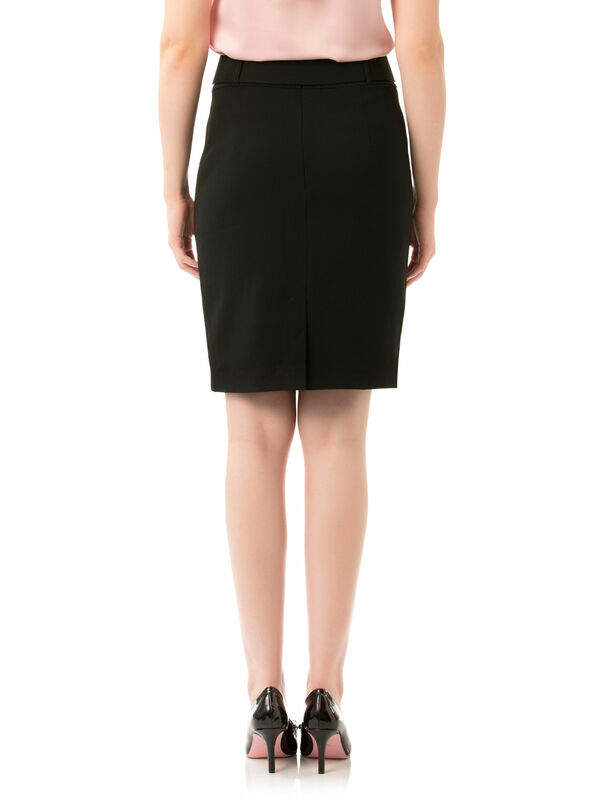 In a structured crepe fabrication, the fully lined skirt offers a straight pencil silhouette, sitting at the knee. It has a back split at the hem and features a wide belt with a squared covered loop at the centre.